Is it Sunday Cologne that does it for you? Perhaps the heady notes of Mister Marvellous are more your bag? Or do you count yourself as a Rose of No Man's Land kind of woman—all romantic and mysterious in equal measure? Whatever your poison, it's more than likely you'll have a Byredo perfume sitting pride of place on your dressing table. And if you don't, there's probably one waiting in your "saved items" shopping basket ready for a particularly decadent payday to roll around. For me (besides a two-month fling with Unnamed, £142), it's always been Gypsy Water (£142). Nothing has ever managed to reflect the got-my-life-together image I want to put out into the world more than that delicate mix of bergamot, lemon and pepper. 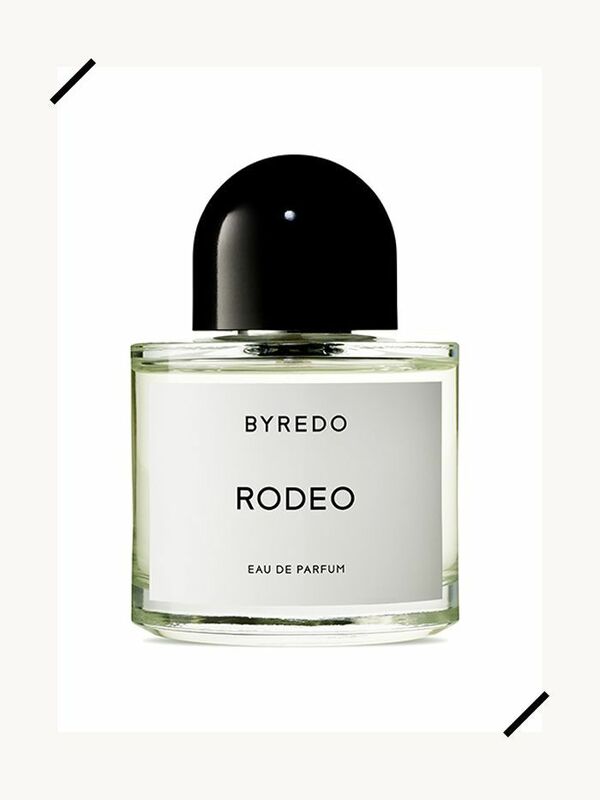 But then came Rodeo (£150), a new Byredo fragrance that is so damn delicious it has challenged everything I thought I knew about my signature scent. Keep scrolling to find out what makes this scent so special. Of course, I expected it to be good—it's not the company's first rodeo after all, if you'll excuse the pun—but I didn't think it would be this good. As the name would suggest, the fragrance transports you to an old-time rodeo. But we're not talking a Woody the Cowboy kind of set up here. No, it's far more grown-up than that. There's a strong leather note, like a heavy, well-worn saddle that's so potent it almost smells smoky. That comes teamed with aged suede like a cowboy's chaps, and then there's the violet. For me, the effect is fairly subtle—nothing more than a little hint—although our editorial director, Amy, found it so intense that she likened it to inhaling an entire packet of Parma Violets. But it's this floral note that gives the overall perfume a sense of lightness, which for someone who tends to cling onto the fresher end of the perfume spectrum is so very welcome. I won't lie: In the traditional sense of the term, it's masculine. Like, really masculine. But that gives it gusto. It's not the sort of disappointing fragrance that fades into little more than a whisper come lunchtime. It sticks around. And with every pull of the jumper or flick of the hair, you're reminded of its almost narcotic effect. In short, it is dreamy. If you're a die-hard fan, you might have spotted that this fragrance was previously only available at the brand's Wooster Street store in NYC, but it has finally made its way onto British soil. There is a catch, though: Rodeo will only be available to buy at Selfridges from today until October 18, so I suggest you stock up fast. Want more? We asked a fragrance expert to explain what these perfume buzzwords actually mean.